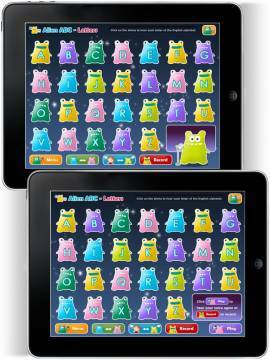 What it is: an app for letters/letter sounds/alphabet practice. What you do with it: tap the letter to hear its name or sound (child or 'alien' voice, there is the option to record your own voice). Two minigames: ABC and ZYX Countdown (click through the letters of the alphabet in the correct order). What we liked: very simple operation. 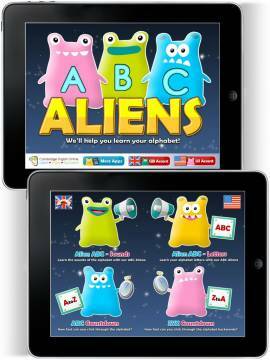 Letter names and sounds, uppercase and lowercase letters, clear pronunciation with British and American accents. The option to record your own voice. What we didn't like: limited interactivity (just sounds, no animations, no examples of use etc). 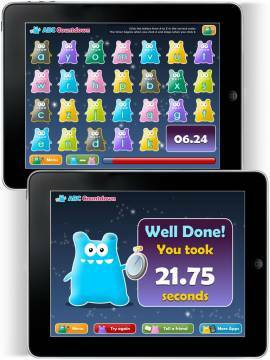 The 'countdown' challenges have a time limit (can be frustrating for younger or less competent kids). The interface (the main screen) could be more intuitive. 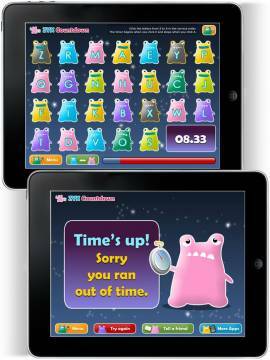 Bottom line: in our opinion best used a 'teacher/parent tool' (the app contains suggestions and ideas for using it for alphabet and word games).